What’s in World 3 – Intermediate level? In World 3, you’ll be getting access to 50 new stages to take you from an elementary to an upper-elementary and intermediate level in Chinese. You’ll be learning over 300 new words with Nincha, 400 new sentences, and close to 20 new grammar lessons! You’ll learn to use more key sentence structures in spoken and written Chinese :Once you’re done with world 3, notions like how to use the particle 把, using the change of state 了, knowing when to use 才 and 就, using the pattern “是…的” and more, will have no secrets for you! World 3 continues on from World 2, so you’ll be also learning new material and to expand on the content you’ve previously learned to be able to talk about a larger variety of topics. You’ll become a pro in Mandarin Chinese at topics like negotiating, shopping, banking, and a lot more! Is World 3 for you? You’ve learned Chinese before and you’ve acquired the basic sentence patterns, characters and grammar of the Chinese language. You feel you know the basics of talking to people and can read basic texts. You’re ready to move on to more complex sentence constructions and want to be able to use a richer language, to talk about more topics. Then World 3 is for you! Are you preparing to take the HSK level 3? World 3 also covers the topics, key sentence structures and vocabulary you need to know to take the HSK 3, so you can enjoy preparing for your exam! More of the story to discover! In World 3, you’ll also be unlocking part 3 of the story, as Nincha and Lupishu explore the Country of Water. 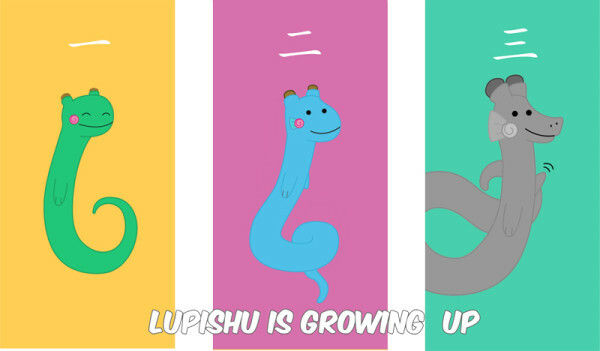 You’ll discover Lupishu’s new look and color because as you progress, Lupishu grows too! World 3 is currently available in Early Access. 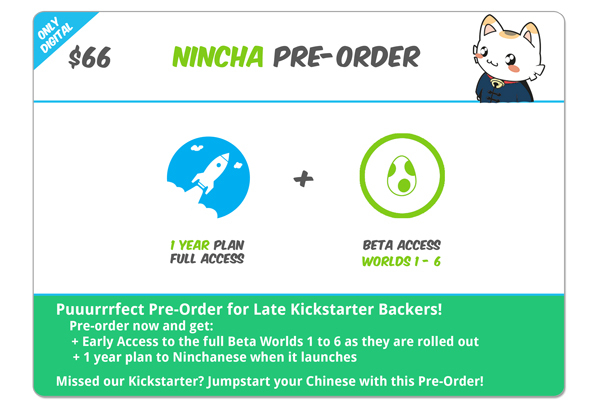 World 3 can be accessed by all our Kickstarter backers that got a Baimei Pack and up, and to all the lovely people who have pre-ordered Ninchanese since the Kickstarter campaign has ended. If that sounds like you, you should already have access to World 3. Simply log in to your account on http://app.ninchanese.com and get started! Contact us if that’s not the case! 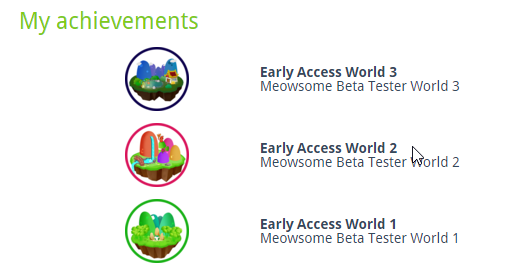 Pre-orders are available for a limited time only, so now’s your chance to get early access to Worlds 1, 2 and 3 and the other soon to be released worlds! With Ninchanese, come enjoy learning everything you need to speak Chinese! The web app is now in beta so sign up now to join the beta! Stay in touch with us on Facebook, Twitter, Google + and Pinterest andpre-order now!